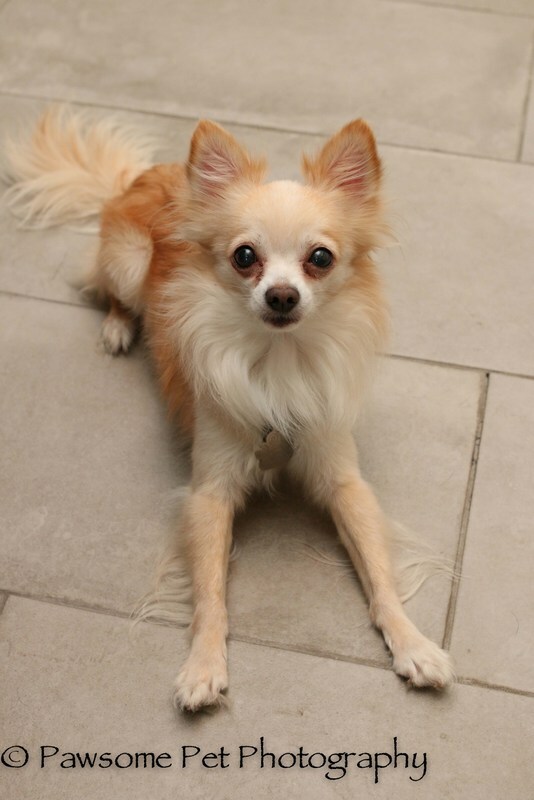 PIERRE HAS AN ADOPTION PENDING – YEAH! Meet our silky-haired man of mystery, Pierre! 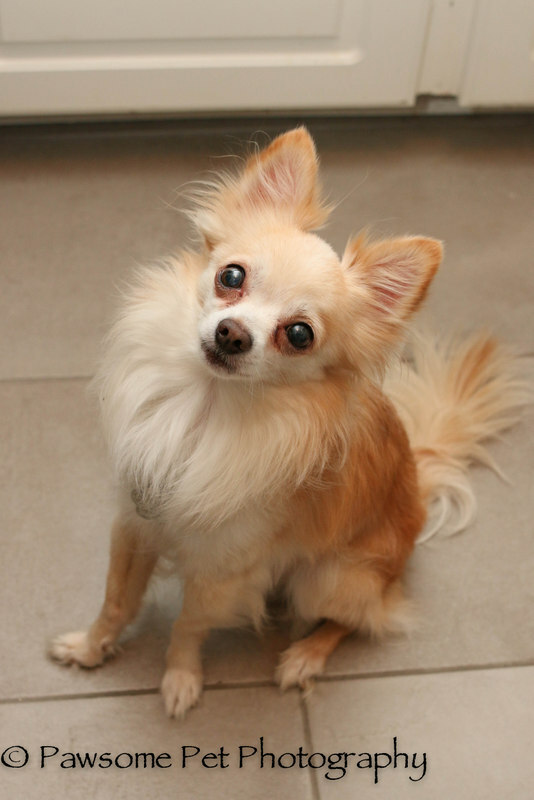 He’s a playful, long-haired Chihuahua with a gorgeous champagne-coloured coat. 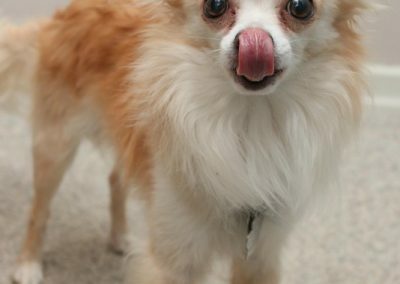 At just 7-years-old, he’s got lots of life left in him! 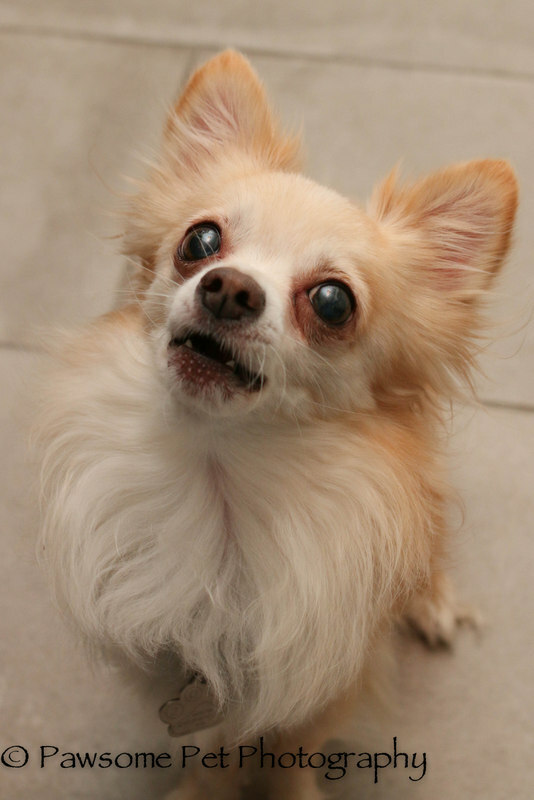 Pierre does have a grade 2 heart murmur, although at this stage he does not require treatment for it. 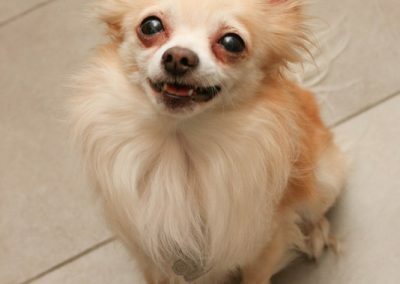 He will most likely need a teeth cleaning in the future, but otherwise he seems to be in good health. 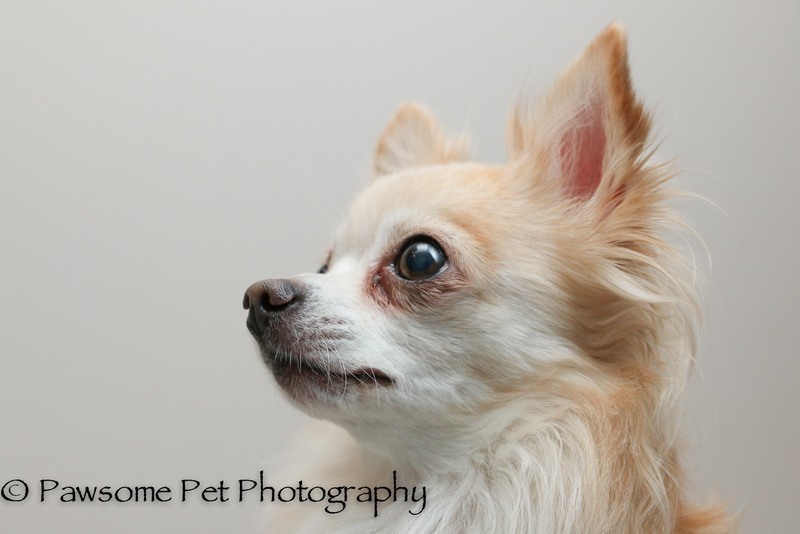 He currently resides with two other Chihuahuas in his foster home and gets along well with them. He enjoys laying in his foster Mom’s lap, as well as lounging by himself. He has bonded quickly with his foster Mom and follows her everywhere. Initially, he howled when she would leave him to go to work but after a couple days that subsided. 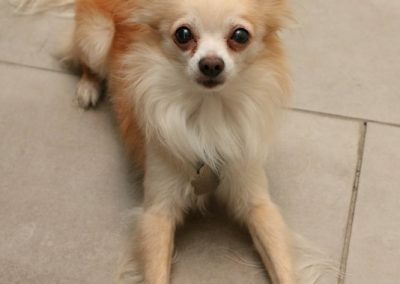 He now saves his barks, howls and squeals for when foster mom returns at the end of the day. 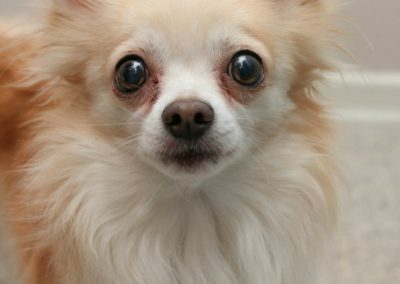 He doesn’t mind being picked up and cuddled, but, somewhat surprisingly for a Chihuahua, prefers not to be under the covers. 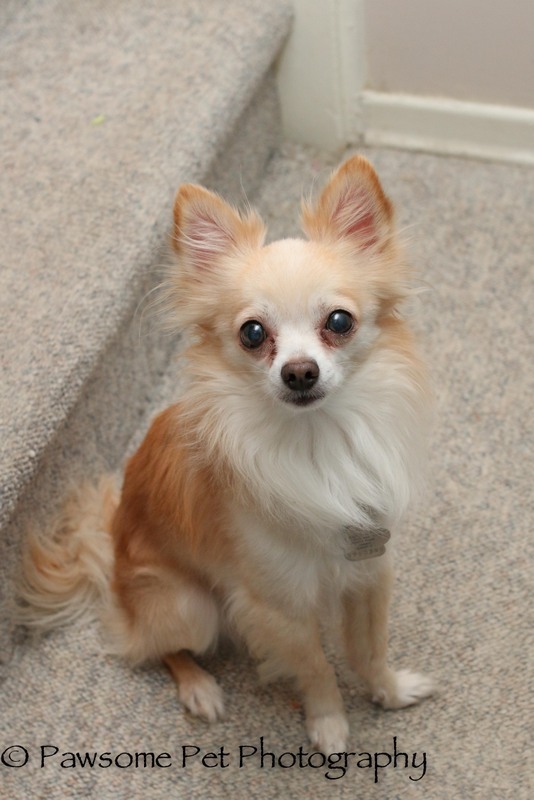 Pierre enjoys exploring the backyard and will go out rain, shine or snow to do his business. He will use pee pads indoors if need be. He did go through a period of marking when he arrived at his foster home but he and his foster Mom are working on that and it has lessened. 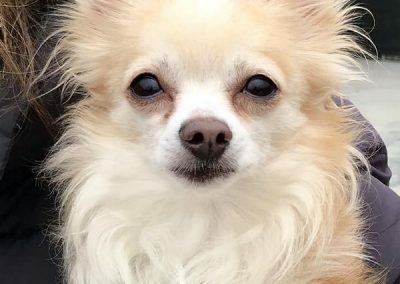 When he came into our care, Pierre was underweight at only 5 lbs, so his foster Mom is working hard to help him become a healthy weight. He is currently eating dehydrated, raw food as he has turned up his nose to hard kibble. He is a man of discerning taste! 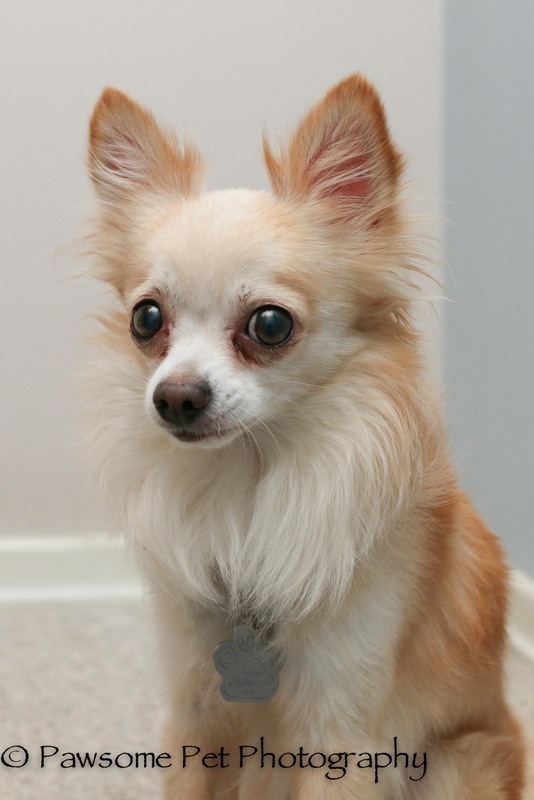 Pierre is fed separately from his foster siblings, but not because he is aggressive or a resource guarder. It’s just because he is a slow eater and sometimes wanders away, lost in thought, in the middle of his meal and sometimes his sneaky siblings will finish his food for him! 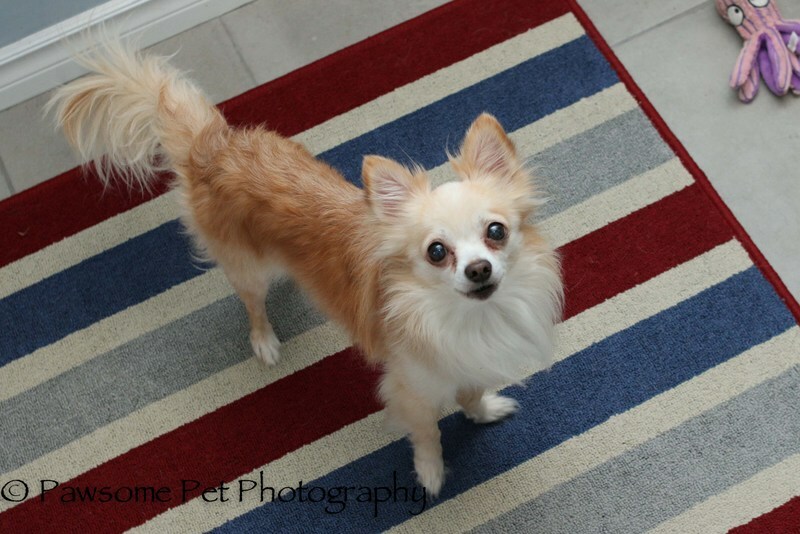 Pierre is well-mannered on a leash and enjoys exploring. He will wear a sweater or jacket when going out, but would rather wear nothing inside. 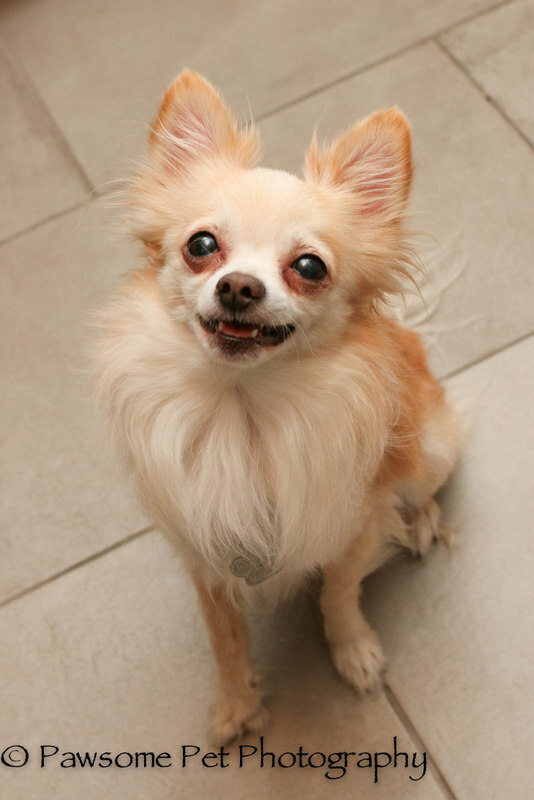 This polite little guy does not bark when the doorbell rings or when someone arrives at the home. 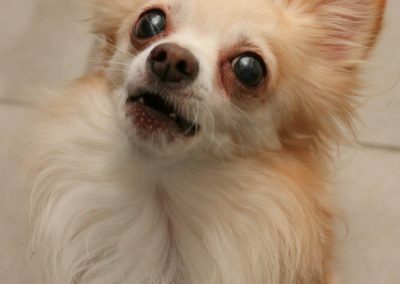 He will sometimes engage with the other Chihuahuas if they are barking, but is generally well-behaved. 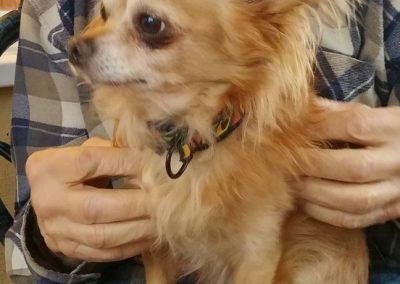 He enjoys playing with his squeaky toys and will engage in hand play, but he could use a little work in this area, as he is a little rough. He responds to his name and his recall is good. He is indifferent to cats and seems to be fine with children. 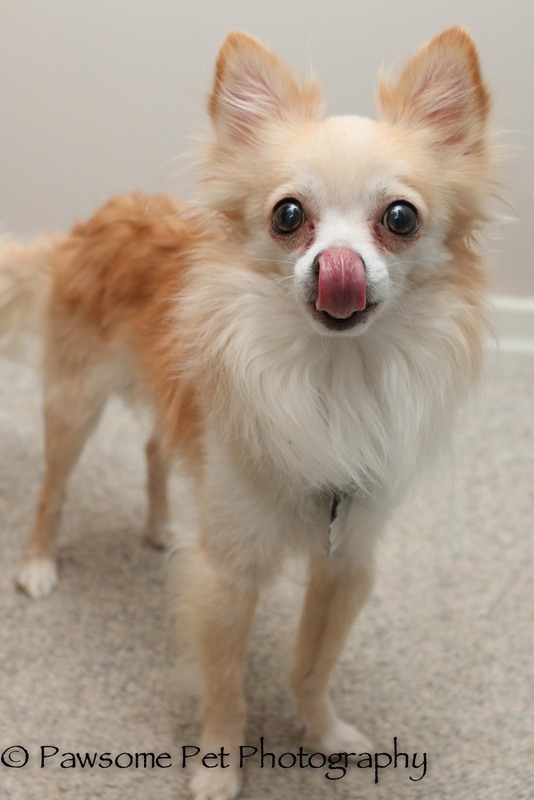 Thanks to his laid back nature, Pierre would do equally well as the only dog in the home or with a companion. You can purchase a sweater and/or blanket for him, or any of our other fosters dogs. Please consider becoming a CCRT Sponsorship Angel for any of our fosters by making a cash donation towards their care. 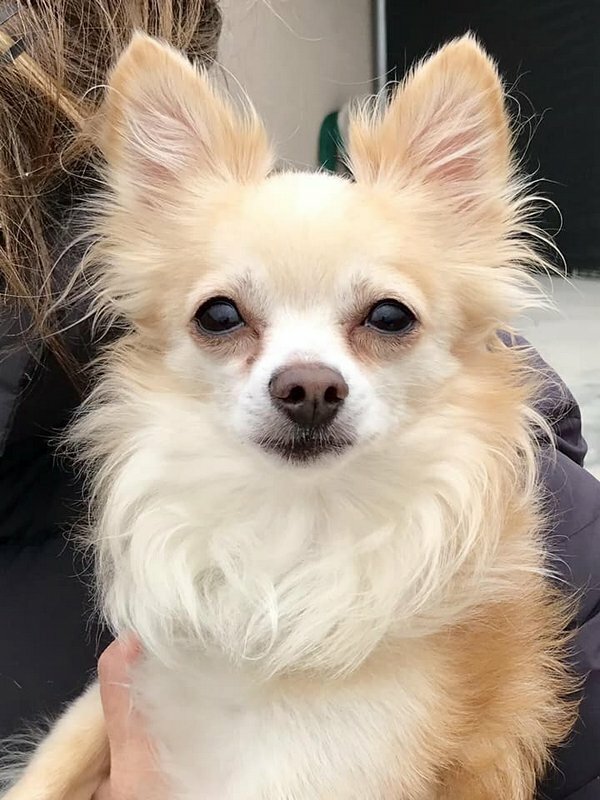 What a lovely boy, I look forward to learning more about Pierre – I am looking for a loving boy or girl to share our beautiful home with (not complete without a dog). I lost my boy several months ago, 14 years old, he was a cockapoo. 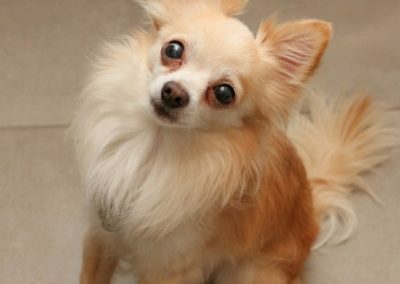 I would like to share our home with a dog in need of a wonderful family. We have a rescued cat also she is now 6. I’m in love… when I left my abusive husband I had to leave her with him as I couldn’t take her to the shelter. When I ca.e back to get my stuff here gave her away and didnt tell me where to find her. I’m ready to love another Hua. We’re sorry to hear your story and that you lost you beloved furbaby in the process. 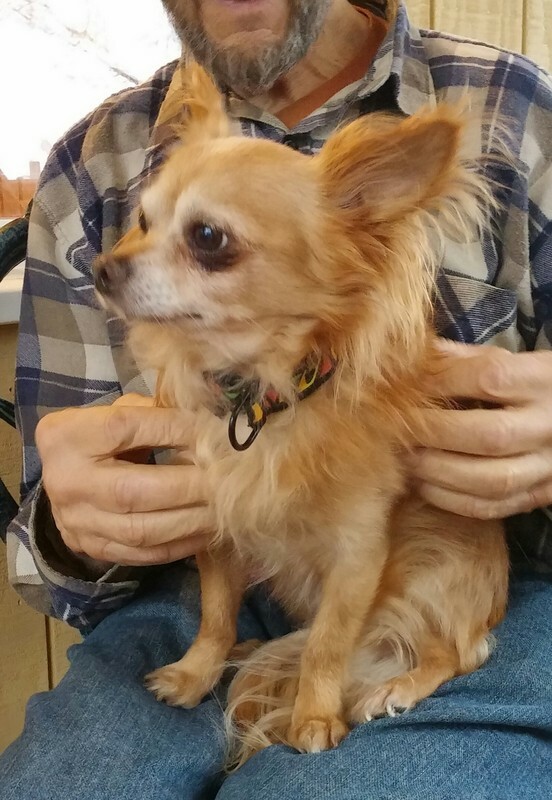 CCRT doesn’t deliver dogs, our adopters are responsible for meeting the dog as part of a meet and greet and if approved, must participate in the transfer. You can read more about our adoption process here. Just wondering if any weight has been put on? Just a beautiful little one. Love to share my home with that presusis baby face. Yes, Pierre is quite magnifigue! We don’t have any updates at this time, but stay tuned! 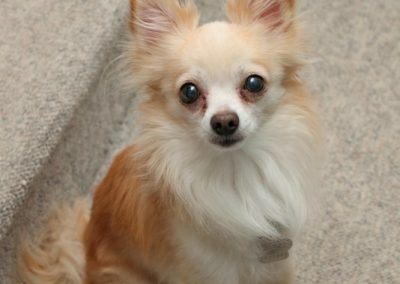 Would love Pierre to be friends with Papi, our 15 pound Chi/Terrier mix. How can I make arrangements to adopt him? Got Papi (they called him Jono) through here a little more than 2 years ago. He was a rescue dog from Tennessee. 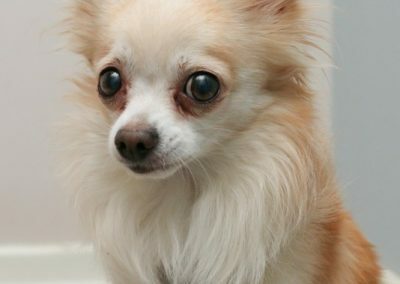 I hope he’s compatible with other chihuahuas! I’d love him to join our family for the holidays. 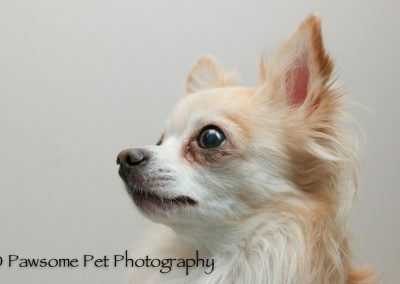 We have a soon to be 5 yr old girl chi who is an absolute angel. How is Pierre doing? Would he like a brother and a sister and lots of snuggles? As you can see by his updated profile, he’s doing well and gets along nicely with his foster siblings. We think he’d enjoy some forever fur siblings and cuddles! 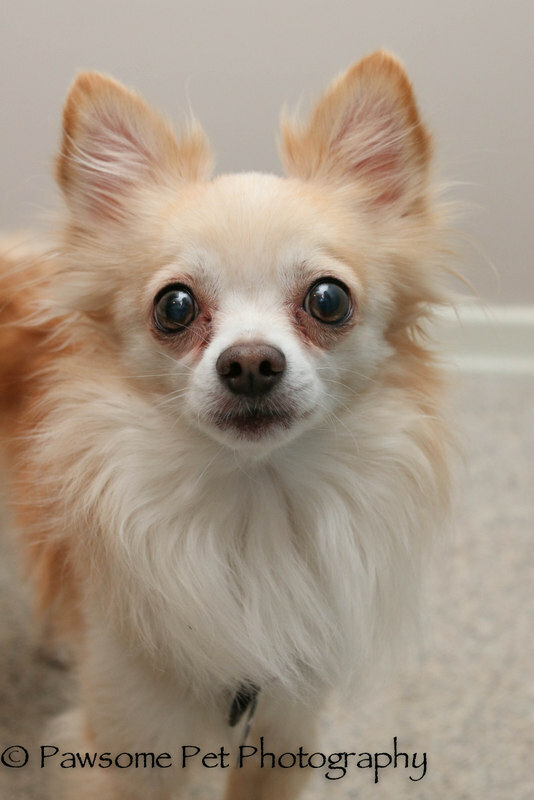 I am interested in adopting this little man :), when can I fill out an application for him? We are no longer accepting applications for Pierre, however, our other foster dogs would love a chance to be your forever furbaby. You can complete an online adoption application by clicking here. Thanks! 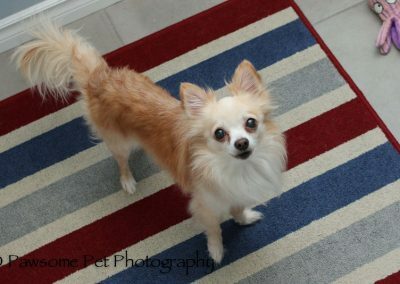 Pierre has just recently found his forever home, but we have other foster dogs who would love to be a part of your family!